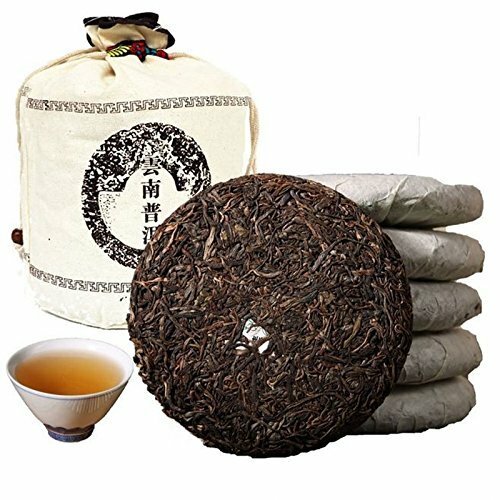 Dian Mai Classical collection 2005 unknown spring tea puer tea 12 years Kunming dry storage 200 gram tea5 cake Total 1000G经典收藏2005年无名春尖普洱老生茶 12年昆明干仓200克5饼 共1000G by Dian Mai 滇迈 at Jakis Cafe. Hurry! Limited time offer. Offer valid only while supplies last. The old tea is stored in a dry storehouse, and the warehouse is regularly turned over. It is a normal phenomenon that the tissue paper is damaged.